This question is concerned with designing a new product. Homeowners often buy products that are modern rather than traditional in their design. You have been asked by a furniture company, to design a piece of furniture based in Memphis design principles. 1. Using the moodboard as a guide. List six design principles followed by the Memphis Design Group. The first design principle has been completed for you. A. 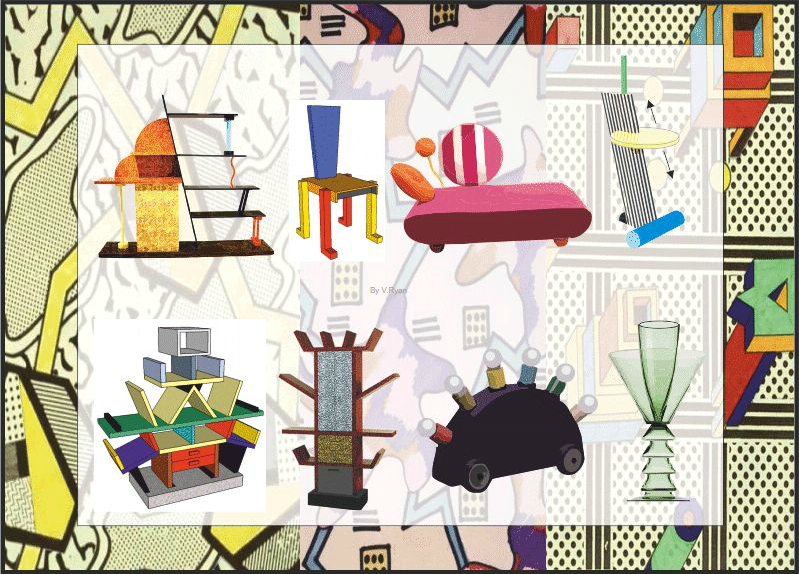 The Memphis Group often used bright colours as an aspect of their colour scheme.